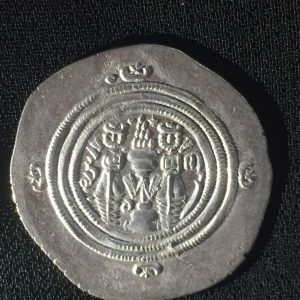 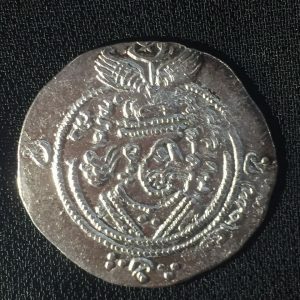 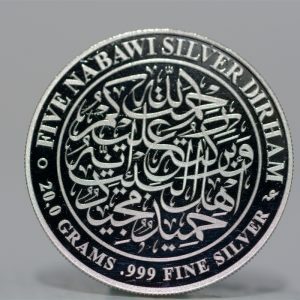 The One Nabawi Silver Dirham by 24 Qirats is a fine silver coin minted according to the denomination of the standard weight and purity of the Sasanian Drachma, the silver coins circulating in Makkah and Madinah during the era of Rasulullah (pbuh), which formed the basis of value used in the Nisab of Zakat revealed in 2 Hijrah. 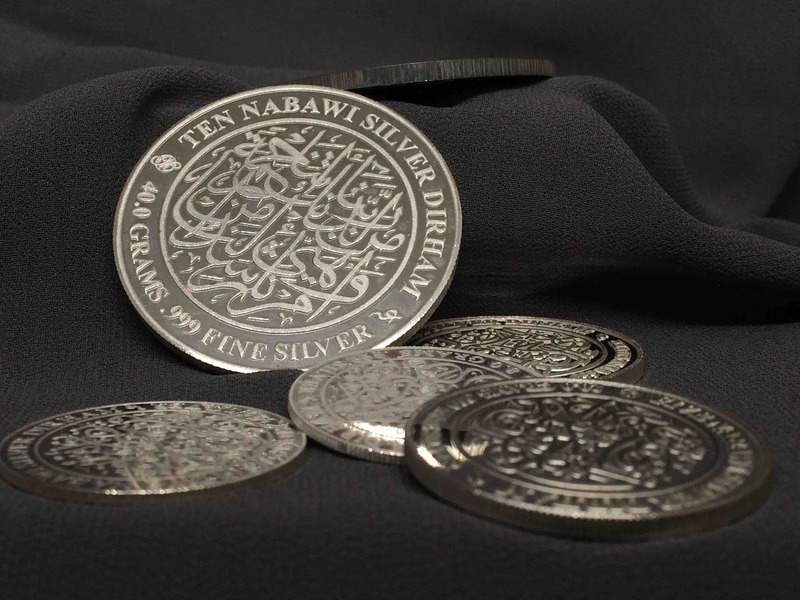 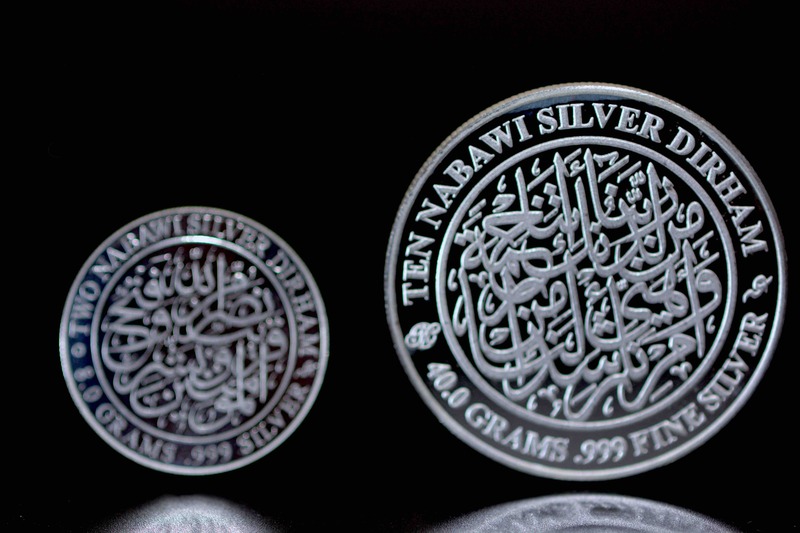 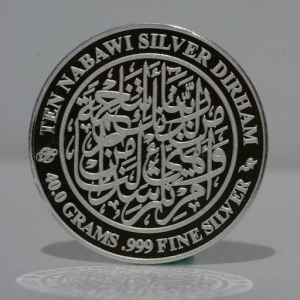 The One Nabawi Silver Dirham, Version 1, was inspired to be the cornerstone of the weights and measures for the Nabawi Silver Dirham collection. 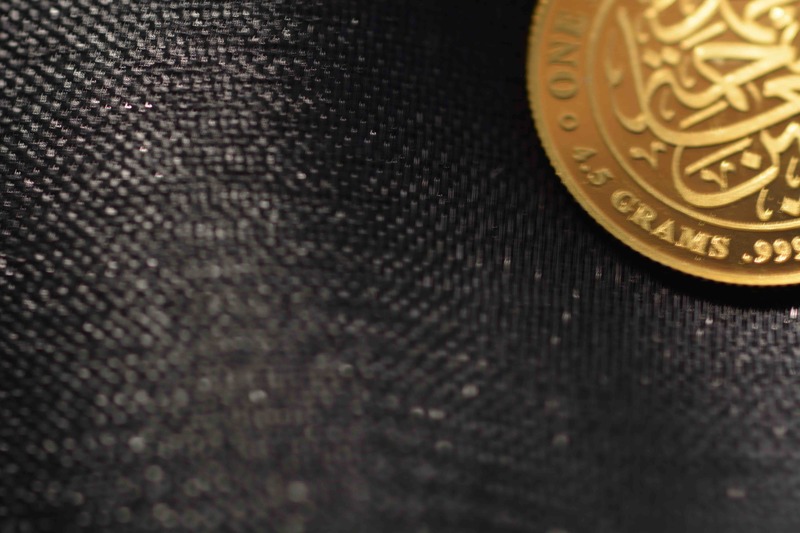 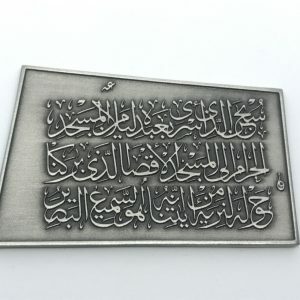 It hasone of the Blessed Names of Allah on the Obverse and the Reverse is the unique muqatta’at of Qaf followed by honouring revelation through the Quran. 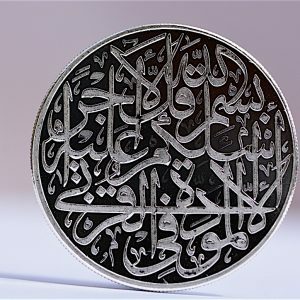 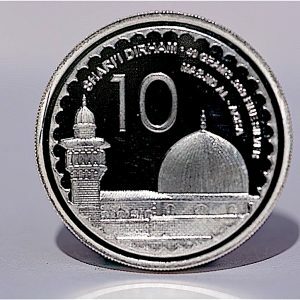 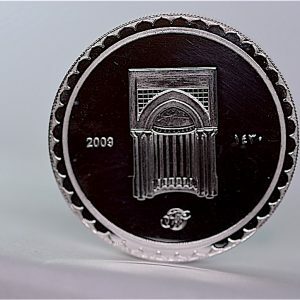 The Ten Nabawi Silver Dirham produced by 24 Qirats is a fine silver coin minted according to the denomination of the standard weight and purity of the Sasanian Drachma , the silver coins circulating in Makkah and Madinah during the era of Rasulullah (pbuh), which formed the basis of value used in the Nisab of Zakat revealed in 2 Hijrah. 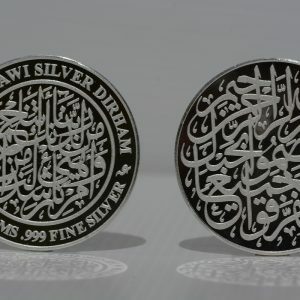 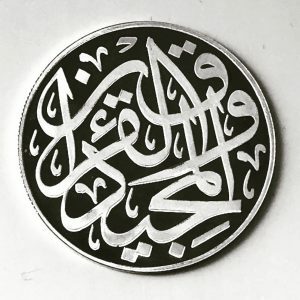 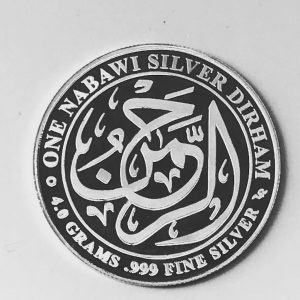 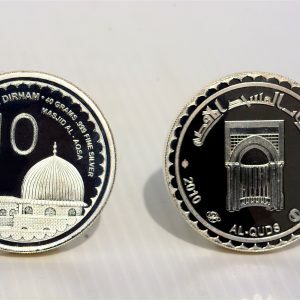 The Ten Nabawi Silver Dirham, Version 1, is a classic design which incorporates a prayer asking for guidance from Allah against the trappings of Dajjal, and for the Ummah to be united as one. 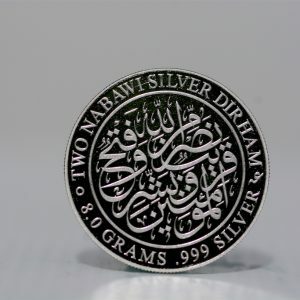 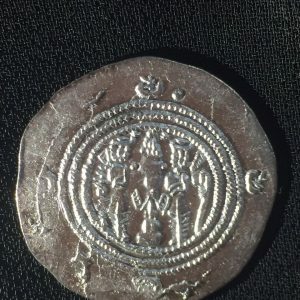 The Two Nabawi Silver Dirham produced by 24 Qirats is a fine silver coin minted according to the denomination of the standard weight and purity of the Sasanian Drachma, the silver coins circulating in Makkah and Madinah during the era of Rasulullah (pbuh), which formed the basis of value used in the Nisab of Zakat revealed in 2 Hijrah. 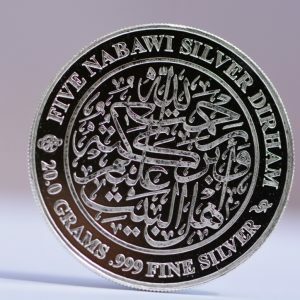 The Five Nabawi Silver Dirham , Version 2, design incorporates a salawat into it. 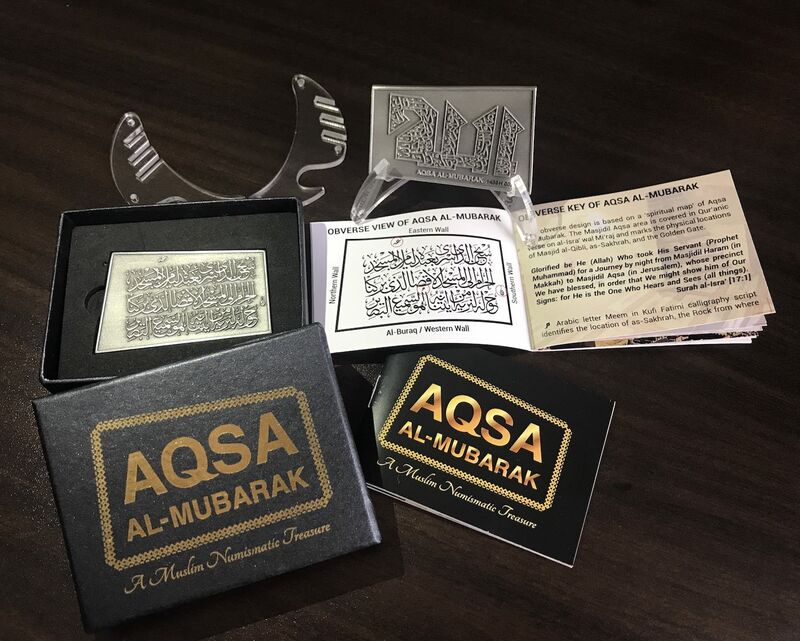 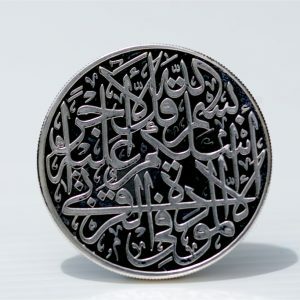 The Five Nabawi Silver Dirham, Version 3, design incorporates a salawat which asks for the blessings of Allah Almighty upon the Holy Prophet (pbuh) and his beloved family. 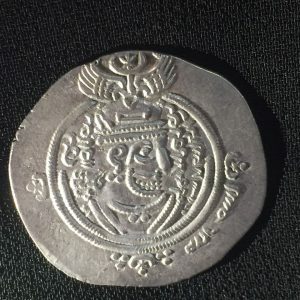 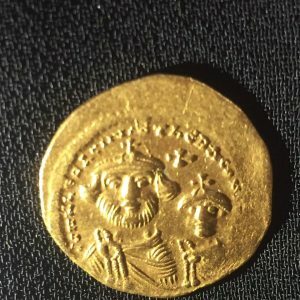 Minted about the year when the Umayyad Caliph ‘Abd al-Malik bin Marwan ruled from Damascus and did not control the whole of the Hijaz as the rival Caliph, ‘Abd Allah bin al-Zubayr, nephew of ‘Aishah (r.a), ruled over a larger Muslim empire which included Makkah and Madinah after the Ummah became divided with the death of the Umayyad Caliph Marwan bin al-Hakam. 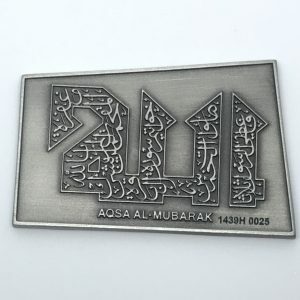 Minted about the year when the rival Caliph, ‘Abd Allah bin al-Zubayr, nephew of ‘Aishah (r.a) and grandson of Caliph Abu Bakar al-Siddiq (r.a), ruled over a larger Muslim empire which included Makkah and Madinah after the Ummah became divided with the death of the Umayyad Caliph Marwan bin al-Hakam. 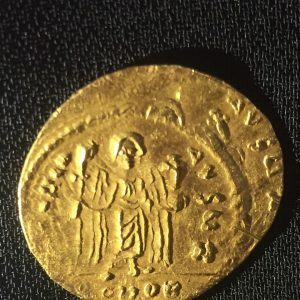 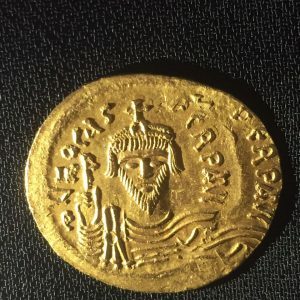 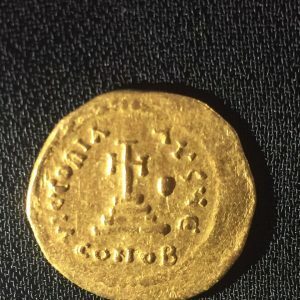 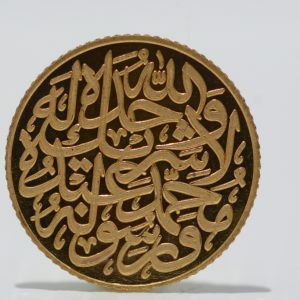 Minted and known among Arabs as a Gold Dinar during the era when Prophet Muhammad (pbuh) frequented the trade route of the Quraysh into Sham and Yemen where he developed managerial and organizational skills in commerce under the tutelage of his beloved uncle and protector, Abi Talib. 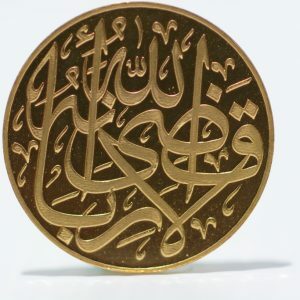 Minted and known among Arabs as a Gold Dinar during the era when Prophet Muhammad (pbuh) received Revelation in Makkah and later in Madinah until he perfected the Deen of Islam as the Seal and the Most Beloved of the Prophets of Allah Subhanahu wa Ta’ala having being sent as a Mercy to all of His Creation. 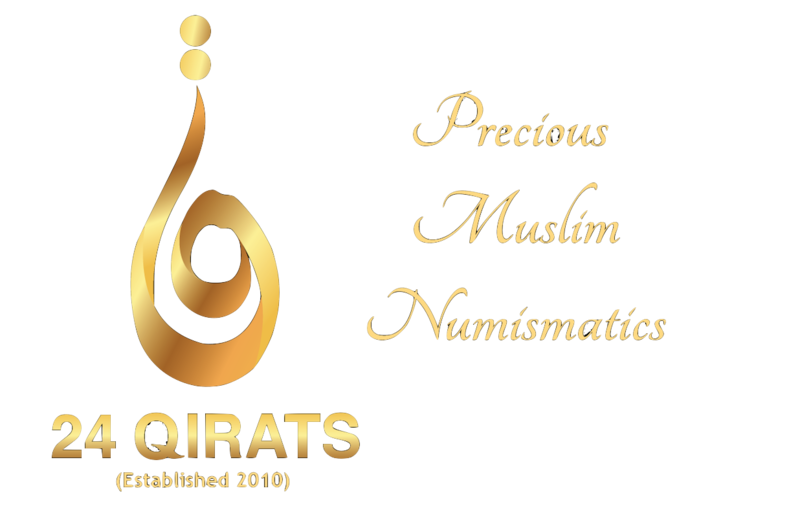 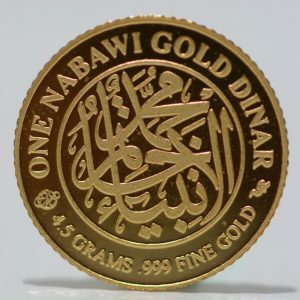 The One Nabawi Gold Dinar produced by 24 Qirats is a fine gold coin minted according to the standard weight and purity of the Byzantine Gold Solidus circulating in Makkah and Madinah during the era of Rasulullah (pbuh), which formed the basis of value used in the Nisab of Zakat revealed in 2 Hijrah. 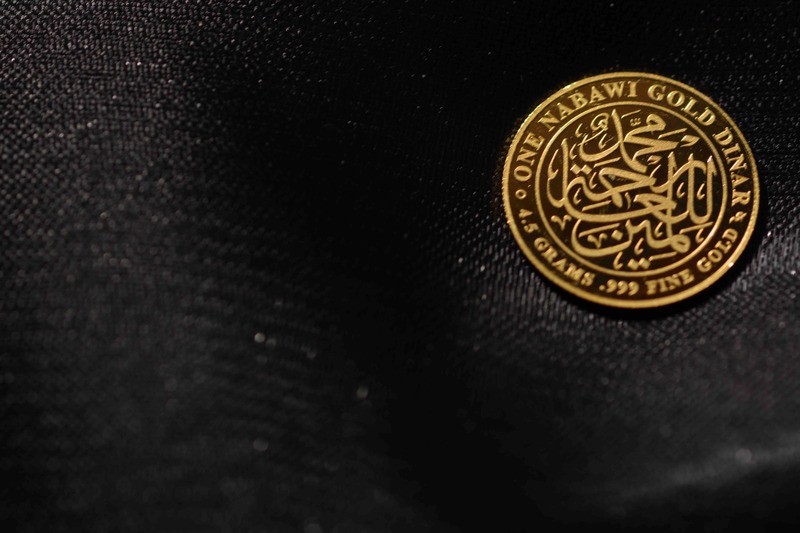 The One Nabawi Gold Dinar , Version 1 design denotes the position of Prophet Muhammad (pbuh) as a seal of the Prophets one the coin obverse. 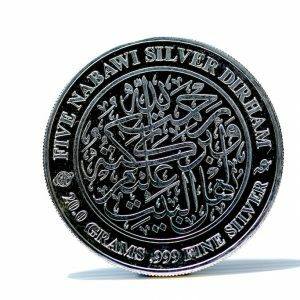 The coin reverse states the prohibition of riba (usury) which is part of the message from the Prophet’s (pbuh) Farewell Khutbah at Arafah. 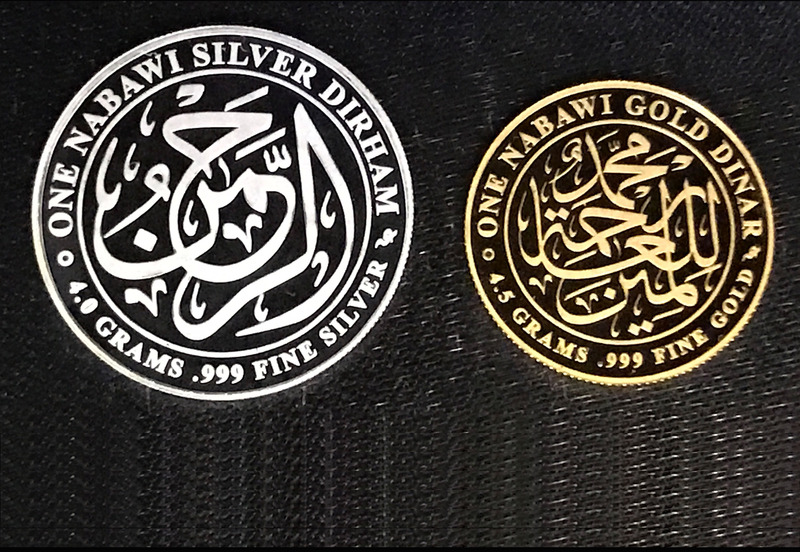 The One Nabawi Gold Dinar, Version 2 design incorporates a new message on the coin reverse whilst keeping the obverse consistent with Version 1. 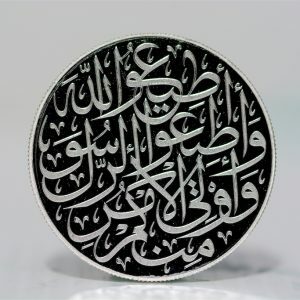 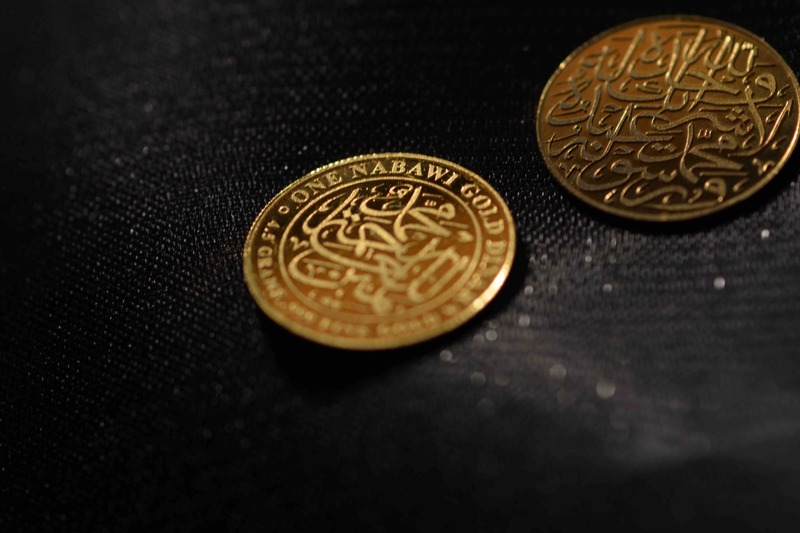 The coin reverse states the declaration of faith that Allah is One and Muhammad is His Servant and Messenger.